See if you can become the hero you were meant to be in this Attack on Titan 2 review. When I had the opportunity to get my hands on a copy of Attack on Titan 2 to draft up for review, I can’t lie, I was practically vibrating with excitement. A little-known fact about me: I love Attack on Titan. I played Wings of Freedom the moment it was out and enjoyed it, in spite of the clunkiness and repeatability that kept me from truly falling in love with it. 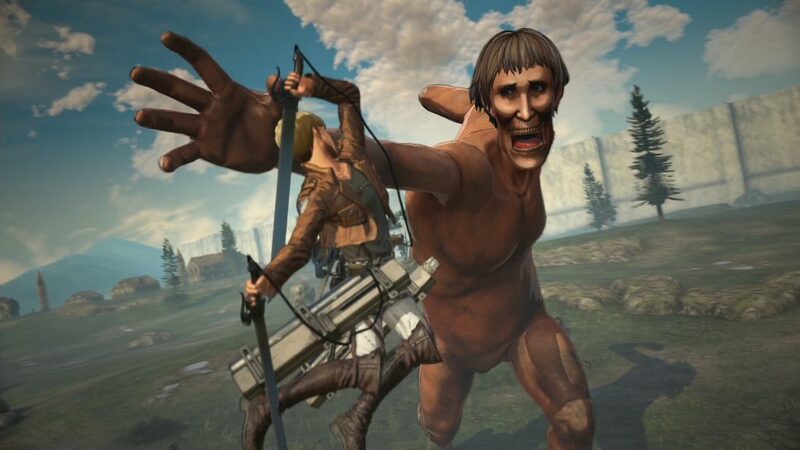 In this new Attack On Titan, it feels as though Koei Tecmo took everything that fans hated about the game and improved on it, adding love and detail where the first lacked on the latter. 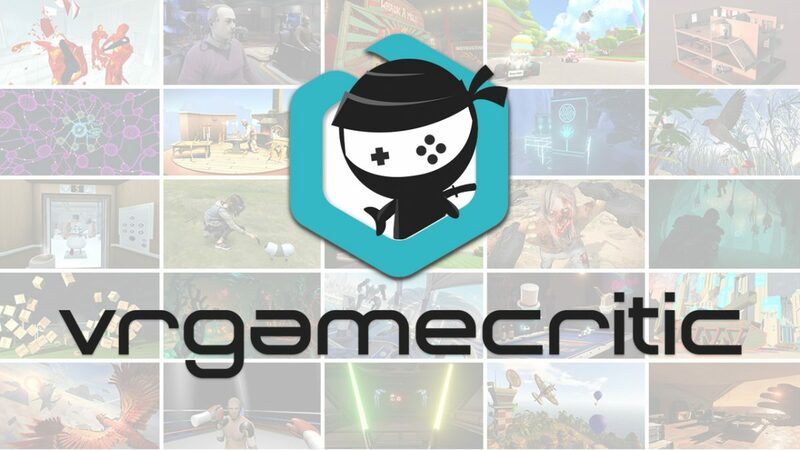 There’s just so much to take in with the new game, so let’s just get stuck in. The opening sequence in first-person is fantastic and sets the scene perfectly. I won’t spoil you on anything relevant (though if you’ve watched both seasons of Attack on Titan, you’ll pretty much know the story anyway), but prepare to brace yourself as you become one of the members of the 104th Cadet Corps, with characters from the anime as your new friends and allies in the battle against the Titans. 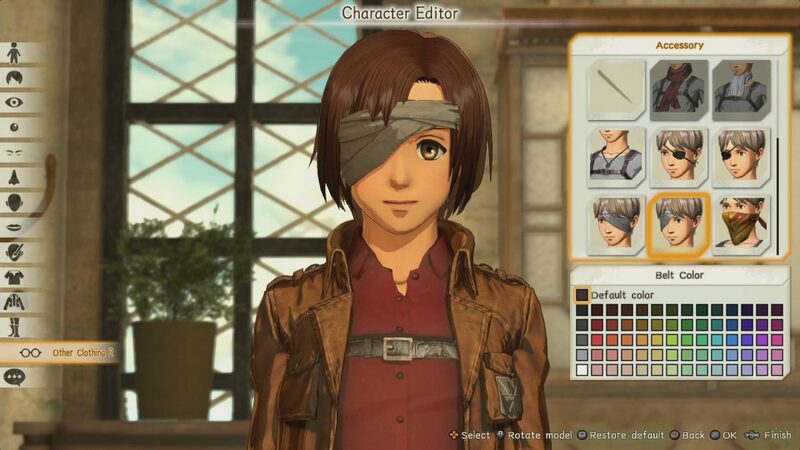 After a brief introductory scene that fans of the anime will recognize, you’re immediately thrust into Attack on Titan 2’s character creator. Now, despite Levi and the others always (annoyingly) seeming to refer to you as ‘our man’, you can choose to play a female character. So ladies, no need to fret. While the character customization isn’t something to go crazy over, it does have the basics that give you a variety of options to mess around with. This includes body, where I was impressed that I could be extremely small or someone who was a walking giant among humans. As a girl who’s never sprouted past the height of 5ft, I’ll let you guess which I decided to be. In all seriousness, there are a lot more options than I first thought there would be, such as hair, eyes, pupil, skin, innerwear, jacket and a range of accessories that you can clothe yourself with to make your character a unique one! If that’s not already a benefit over the original Attack on Titan game then I don’t know what is. The dialogue system allows a different kind of walkthrough each time. The added dialogue system to this game really made me smile. It truly does help in crafting your own character in this thrilling world, and I’ll be honest, it really made me appreciate characters that I didn’t much care for in the anime or manga. It was a nice surprise. Another thing that I liked was how much the game has included. Trust me when I say there is a lot to go through here. 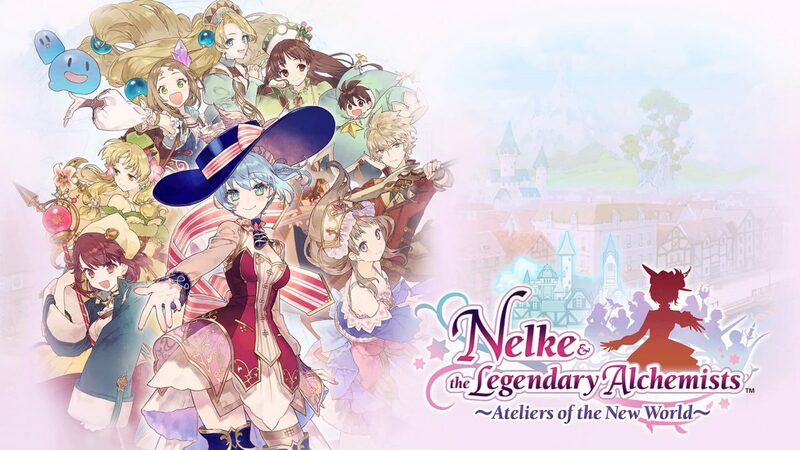 One of the main aspects, however, is the inclusion of ‘Daily life.’ Daily life allows you access to shops to upgrade your equipment, converse with various characters, train and complete different tasks. 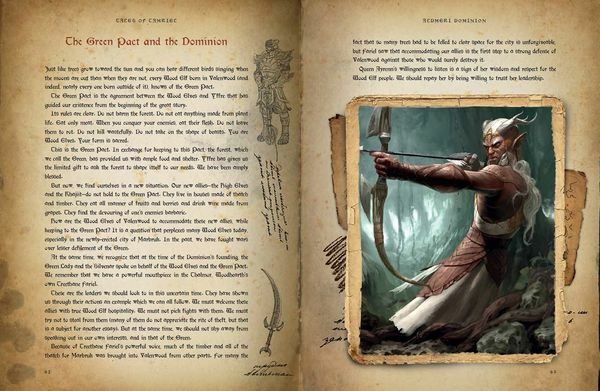 There is also the scout journal, a feature that functions both as a codex and a diary to keep track of the friendship levels you’ve built with the characters your player interacts with. Raising friendship is pretty important, especially as it can help you and your favorite characters level up and improve over time. What I found particularly great was how wholesome earning friendship ranks could make you feel. I mean, once you get past how terrible the lip sync is and how the translation suffers at times, that is. But I digress. It was, dare I say, nice to get Conny and Sasha to approve of me and to have Mina and Thomas try to think of a nickname for me? It felt very personal and fun, making me want to go up to them after every mission. Yet for those who just want to get on ahead with the slaying of Titans but still have the perks of getting your friends stronger, there is a way: it’s called Scouting Missions! 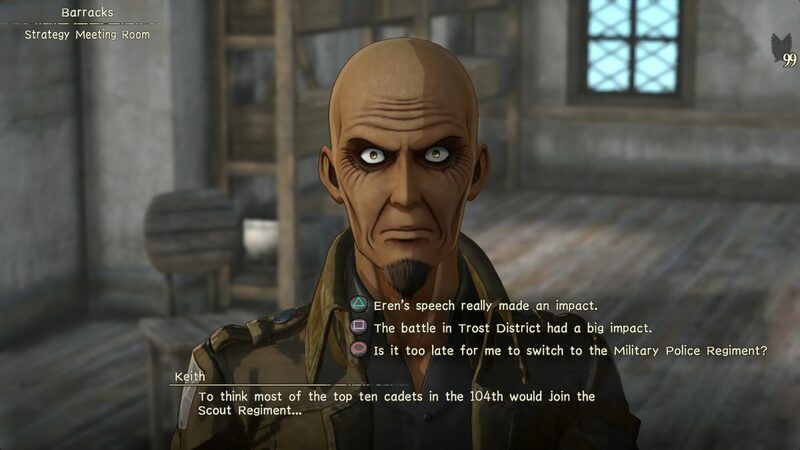 I hated Scouting Missions with a passion back in the first Attack on Titan game. Now I wouldn’t be without them. Scouting missions are now a great way to train yourself on gameplay aspects, particularly if it made you feel like you were running through mud in your grasp to understand them back during the prologue. There’s also a ton of perks for doing Scouting Missions, like raising your popularity. Which can help you grow throughout the ranks from a simple cadet to a determined, strong leader. But if you’re feeling as though this is just a chore and want some back up that isn’t from an NPC, then no worries! You can hop onto multiplayer with a friend and it’ll be just as entertaining. Attack on Titan’s combat was probably its strongest point, which is ironic because as much as I’m enjoying Attack on Titan 2’s combat (it is so, so good), it falls short to the amount of content that you can be part of outside of a combat situation which is just as rewarding. What makes combat this time frustrating is that it still has the same clunkiness as its predecessor, something which I had hoped would be sorted out. Framerate also isn’t that great either, making it hard to tell where you’re going when your being smacked around by a bunch of Titans. Combat isn’t all bad though, in fact, it’s improved for the better. Sure I had the dreaded bug where I fell through the damn floor (yep, cried about it too) and I had to restart, but the newest features added to combat completely blew that from my mind. This time you’re able to create bases on the field and not just for supplies but for minerals, canons and the like to give you an edge in battle. Of course, if you’d rather just slay all the Titans you see then there’s that option too, but I promise you that it’s worth investing in these new bases just for the cool stuff you can do with them. Other cool stuff that combat has added is the use of fancy finishing moves that can be unlocked when asking certain characters to help you out in slaying Titans. These finishing moves may not necessarily kill Titans outright, but tear off their limps and leave them nice and vulnerable for you to slash their head off. Some of them are just downright flashy and, let’s be real, I like flashy stuff. Sneak attacks are also pretty brilliant, especially due to the Titan’s AI being a lot smarter this time around. But even with this in mind, the clunkiness and slow framerate can make the moves seem sluggish and really lowers the cool factor about it. Despite some of its failings, Attack on Titan 2 is significantly better than the first game. In fact, I’d argue not even buying the first game as this sequel lets you play through the first season anyway, only with extra features added on. Koei Tecmo truly deserves to be proud of themselves with this game because it shows so much love, care, and dedication that’s been put into it. 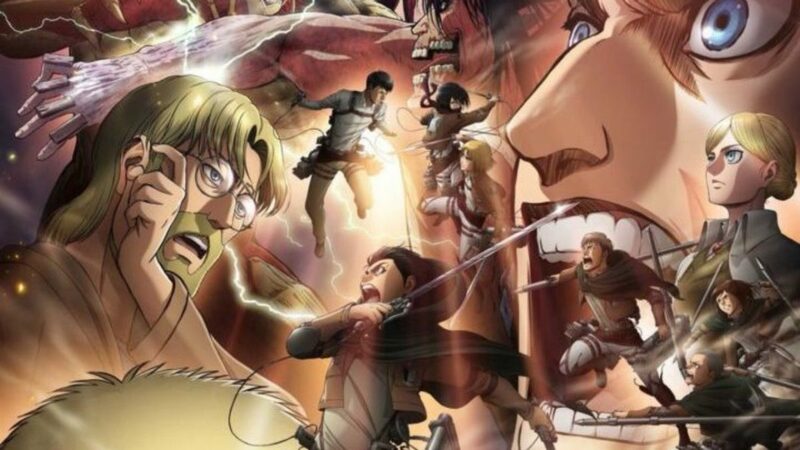 It truly is a title worthy to be linked with the original anime/manga and any fan of Attack on Titan should do what I did and lose themselves back in the world of Titan slaying. Trust me, it’ll be worth your time. Full disclosure: This review is based on a PlayStation 4 review copy of Attack on Titan 2 given to HeyPoorPlayer by the publisher.